Pawan Kalyan made tall claims such as Jana Sena will contest in all the 175 Assembly and 25 Lok Sabha Seats in Andhra Pradesh. In the end, He not only relied on Left Parties but also on BSP failing to find candidates for 35 MLA and 7 MP Segments. Much to everyone's surprise, Pawan Kalyan landed in Lucknow upon receiving invitation from Mayawati and finalised seat-sharing without any delay. Even Jana Sainiks were shell shocked with 21 MLA and 3 MP Seats offered for BSP. That's too much for a party which hardly exist in Andhra Pradesh. Jana Sena Leadership told BSP that it would field candidates in the constituencies allotted for BSP if Mayawati failed to find candidates. Only two days were left for filing the nominations but still none of the BSP Candidates have filed nominations in Andhra Pradesh. BSP is of the feeling that it was allotted the Segment where there is hardly any chance for victory. 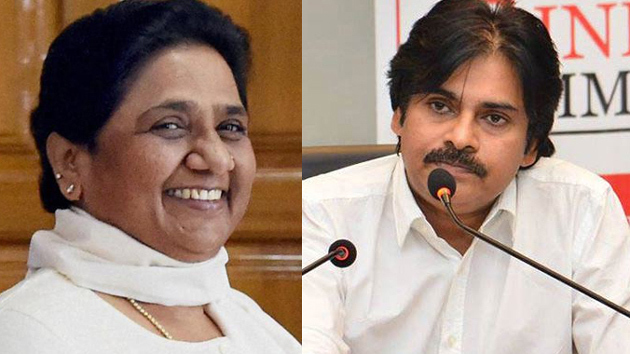 There were speculations that BSP might even consider withdrawn alliance with Jana Sena in the eleventh hour. It's like accepting failure even before the elections!